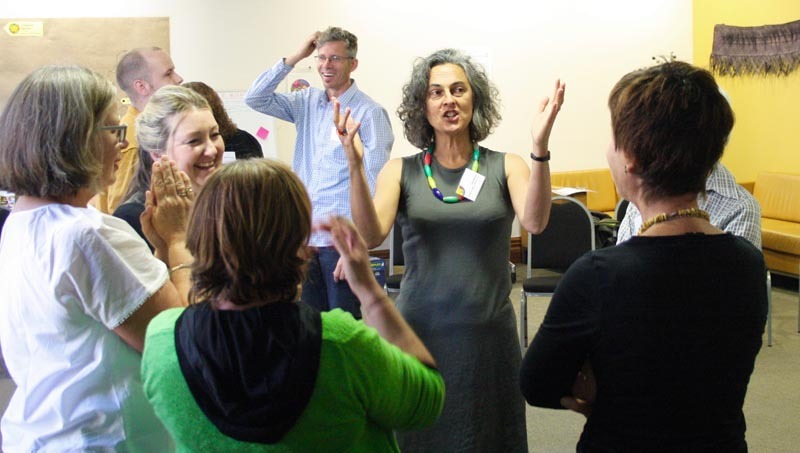 Jacqui Moyes, Art in Corrections Advisor, Arts Access Aotearoa, spoke to delegates at a conference last month for people working in community-based creative spaces around the country. Called Creative Spaces 2020: building a strong future for the sector, the conference was organised by Arts Access Aotearoa. Creative spaces are organisations where people can make art, or participate in artistic activities such as theatre, dance, music, film and creative writing. They provide space, resources and assistance in ways that lead to self-expression, empowerment and self-development. In her presentation, Jacqui spoke about current arts activities and programmes happening in New Zealand prisons. She also talked about the role creative spaces might play in supporting prisoners on release coming back into the community. A mural project, delivered by Wellington creative space Vincents Art Workshop, ran at Arohata Prison for two years from late 2012. In the weekly classes, women prisoners were supported and guided by two of Vincents’ staff members – its Coordinator, Glen McDonald, and art tutor Shar Young. Reflecting on the mural project, Glen is clear about the benefits of contracting creative spaces to deliver art sessions in prisons. In Christchurch, SkillWise and its creative space, The White Room, have been contracted to deliver art classes in the Youth Unit of Christchurch Men’s Prison. Two art tutors are working with the young men to create murals for areas such as the youth gymnasium, the visitors’ hall. 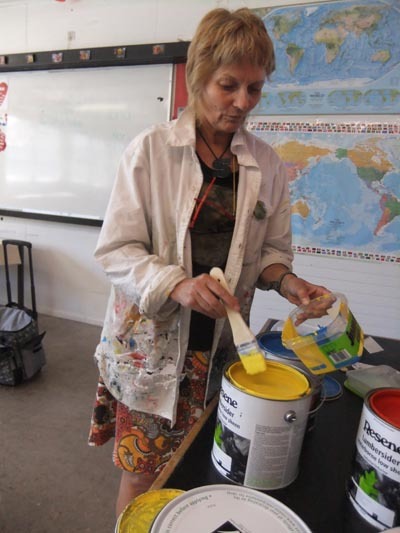 The two art tutors also work at Ōtautahi Creative Spaces, a community-based arts and wellbeing initiative in Christchurch. Kim Morton, Project Manager of Ōtautahi Creative Spaces, says the space welcomes former inmates to their art groups. 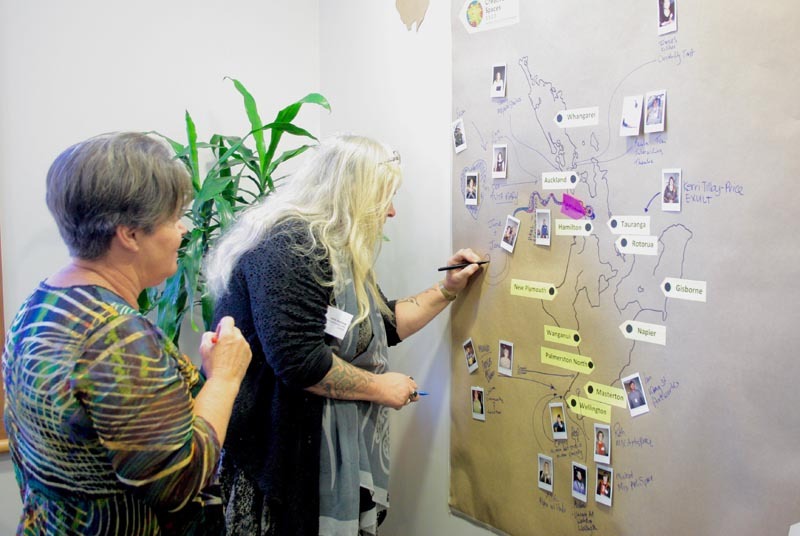 “We’re working with Pathways, a prisoner re-integration service in Christchurch, so that people returning to the community will know how to access our programmes, and can feel supported and included by being part of a creative community,” Kim says. In her presentation, Jacqui encouraged creative spaces to think about their role in providing access to the arts and creativity to former prisoners. She also issued a note of caution. “Before approaching the Department of Corrections, are a lot of things you need to consider a lot of things such as timing, ongoing professional support, funding and sustainability,” she says. Jacqui also talked about the importance of building and maintaining relationships. “Based on my own experience, some big organisations are keen to reach out to real people in the community but they don’t have the access. For people interested in volunteering their artistic skills, Jacqui said it was important before approaching Corrections to be sure you were able to meet the commitment. As Arts in Corrections Advisor, Jacqui said she could act as a facilitator and help make sure things ran smoothly. Contact Jacqui Moyes, Arts Access Aotearoa (T: 04 802 4349 E: jacqui.moyes@artsaccess.org.nz) to discuss your ideas and Arts in Corrections proposals. Arts Access Aotearoa’s website has a directory of creative spaces from Northland through to Southland. Original generation time 1.6832 seconds. Cache Loaded in: 0.0302 seconds.